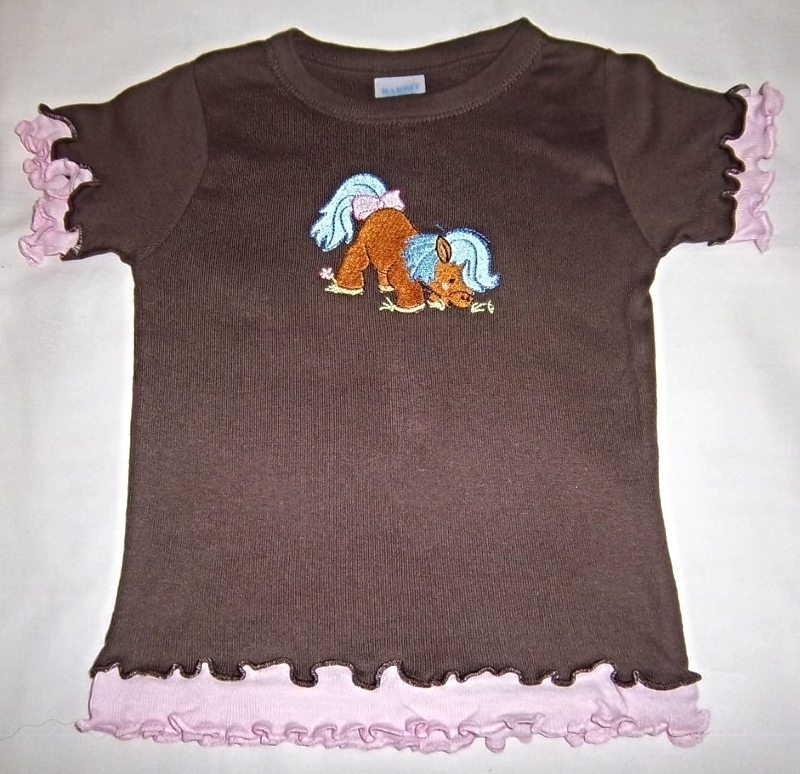 If your little girl is into horses then she will love our new line called Pretty Pony. This is design 1 in the set of 10. It has been embroidered on a Rabbit Skins dark brown shirt with pink ruffle underneath for that "layered" look. 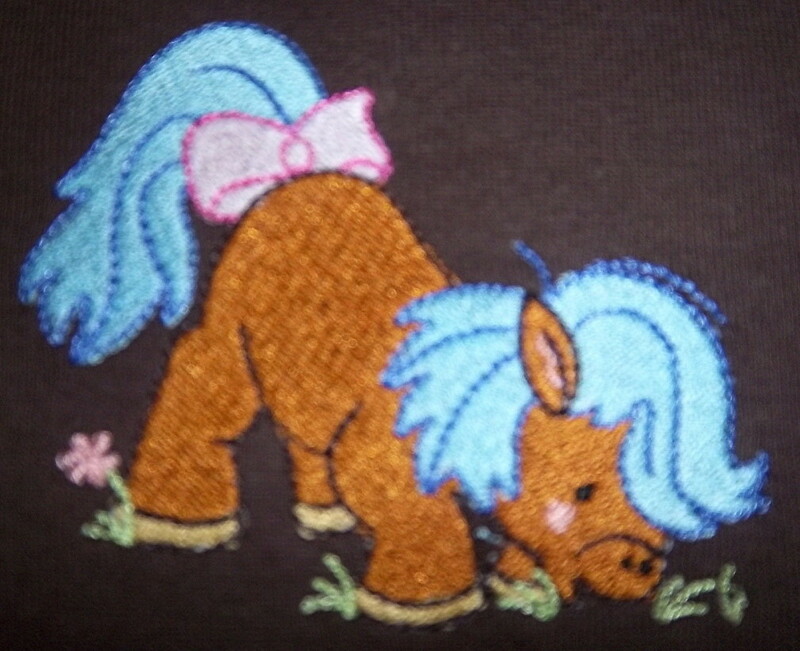 The thread used for the mane and tail of the horse is solar active so will change colors when she goes out in the sun! 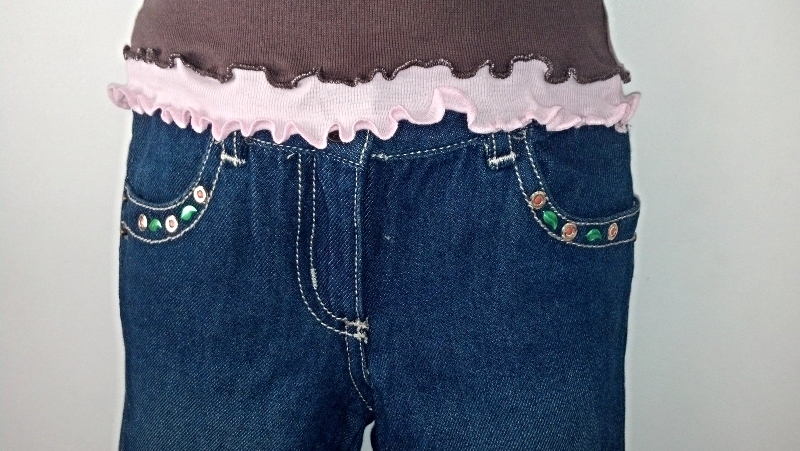 How cute this will look with her little flare jeans made by Crazy 8 (a division of Gymboree)! 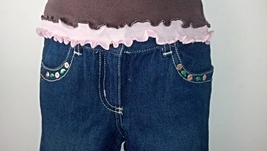 The jeans have an elastic waist back with a button inside for an adjustable fit. 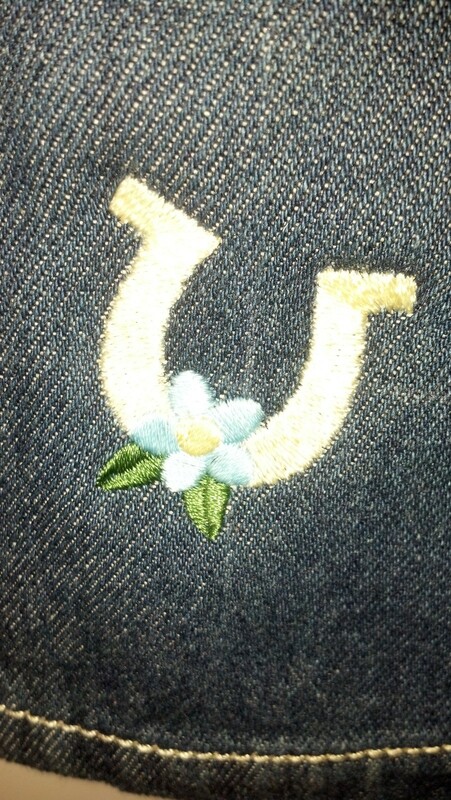 They have a cute horseshoe embroidered with the same solar activated thread as the shirt at the bottom of the right leg and the pocket has some colored studs to add some pizazz to them. It's a great casual cowgirl look. 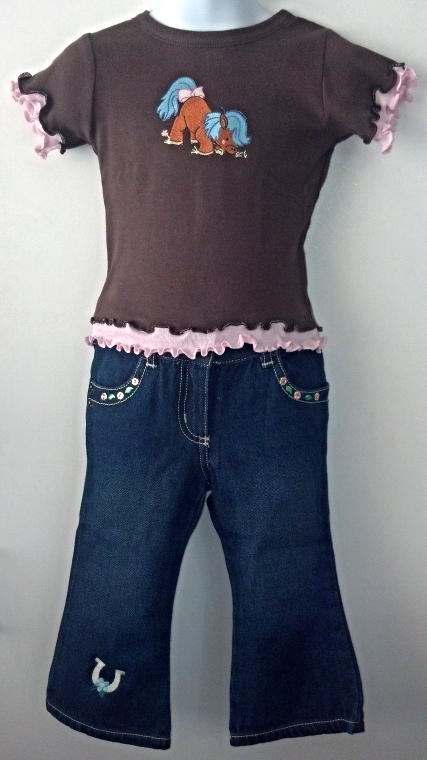 The jeans are new with tags, the shirt is new without tags. The embroidery on the shirt has a layer of cloud cover over the back of it to protect tender skin. If you need this item in a different size just drop us a line at ourtatertotsboutique@gmail.com We would be happy to make it in the size you need if at all possible.